Well, actually, that's fake news. Or at least premature news. The actual natal day is today, but the family party in honor of Granddaughter No. 4's 1st birthday was Saturday night at the home of her parents, Younger Daughter and Olaf. All of Younger Daughter's siblings put in an appearance, at least for part of the festivities. Youngest Son came late, his fiancee arriving at least a half hour before he did. Youngest Son is an assistant coach on a local college baseball team this year and, on Saturday, his team won their third and fourth games in a row. Since they've only won six games all season, that's a big deal. Middle Son made only a cameo appearance. His wife, Margaret, is expecting (Granddaughter No. 5 should arrive in early August), but his wife's delicate condition was not the reason for the brevity of his visit. This past Saturday Middle Son and his wife were babysitting two of their nephews. I'm not sure where the parents were -- Margaret's family is from Eastern Michigan -- so I assume the boys' parents were here doing touristy things sans kinder. Margaret has four nephews in all, just as Middle Son has four nieces. Margaret's mother is over the moon that Margaret is carrying a girl; it seems she's bought dresses---just in case---before all her other grandsons came. She has always put on a good face about things, of course, or at least she believes she has; still, one of her grandsons' fathers, when he heard that Margaret was carrying a girl, supposedly told his son, "say goodbye to your grandma." Now it's Middle Son who's trying---and not doing very well---at putting a good face on things. Clearly, he had been rooting for a boy. I predict, however, that his funk will last only until his baby girl is put in his arms for the very first time. Of course, he has to live that long. After he left the party, Older Daughter and Younger Daughter were speculating about whether or not Middle Son would live through the weekend. It seems that Margaret had begun complaining recently that her work clothes were no longer fitting properly. (Who'd have thunk it, right?) Anyway, as Middle Son explained to his sisters, he took it on himself to pick out some new clothes for his wife. He knew what she liked; he just got things that were similar, if not identical, to favorite outfits -- but not from a maternity store. Oh, no, my genius son picked out regular clothes just a few sizes bigger. Middle Son seemed baffled by his wife's response: He reported that she screamed at him, "Do you really think this is my size?" His sisters' response varied from open-mouth horror to shock to outrage and Middle Son eventually seemed to realize that his family was not lining up on his side on this one. "But the clothes all fit," he whimpered, before deciding it would be best to head home and watch his nephews play video games. We had amazing weather in Chicago on Saturday; the thermometer may not have hit 70, but the Sun was warm and the breeze mild and I'm sure ours was not the only house with all the windows opened during the day. However, if a person had been magically transported into Younger Daughter's living room on Saturday, without the opportunity to take his or her seasonal bearings from the weather outside, that person might have been forgiven for thinking it was Christmas. Initially, the plan was that Younger Daughter would invite all her siblings (as many as were in town) over to watch Granddaughter No. 4 bury her face in a birthday cupcake. Long Suffering Spouse and I were also part of the initial invite list. Older Daughter's was invited, too, but she lives in Indianapolis, if not for long. Initially, it was not expected that she would attend. Older Daughter's husband, Hank, the architect, has been transferred to his firm's Chicago office. He must be in place by July 1. So, for the last couple of months, we've played host off and on to Hank and Older Daughter and their children, Granddaughters 2 and 3. Mostly on, it seems. Granddaughters 2 and 3 take turns not sleeping through the night, and they can seemingly be awakened up by the softest footfalls. Our hardwood stairs are much more likely to groan and creak and crack no matter how we try and tippie-toe. Granddaughter No. 2 is also in the home stretch of potty training; much of it has taken place under our roof. I tell my wife it gives us good practice for the future; someday our conversation may be largely about bowel movements, too. I think Older Daughter and the kids were with us for much of March -- they had to be away from home because (and this is another who'd-have-thunk-it) it turns out that it is difficult to get a house ready to show with two toddlers and two golden retrievers in residence. The good news is we didn't get the dogs, too. Anyway, Older Daughter got lucky, or so it seemed at the time, because she got a bid on her house within a day or two of its going on the market. Long Suffering Spouse and I congratulated ourselves; our sacrifice seemed worth it. But now Older Daughter and her husband have to pack, and quickly, since the sale will close before the end of the month. So the one thing we were sure of was that Older Daughter and her kids would have to take a rain check on Granddaughter No. 4's party. Yes, I understand that they don't know when they're going to unpack, or where, since no replacement home has yet been procured, but---to me---that does not make the obligation to pack any less urgent. But Older Daughter decided differently. And Hank had business in the Chicago office yesterday and today -- and so we have houseguests again. Maybe until Wednesday. Maybe later. I am always the last to know. The problem with Older Daughter coming up for the party---aside from their staying with us so soon again---is that Granddaughter No. 2 turns 3 later this month. And there really couldn't be a party for Granddaughter No. 2 on her birthday, not when the family has to move out three or four days later. So what had been a birthday party for Granddaughter No. 4, turned into a birthday party for Granddaughters 4 and 2. Mission Creep. And Younger Daughter had another complication to add: Her mother-in-law's birthday was yesterday. But the plan was that Olaf and Younger Daughter would take Olaf's mom out on Sunday. They were thinking of going to the Shedd Aquarium; they'd done that when Granddaughter No. 1 turned 1. Adding the M-I-L to that party wouldn't have been that difficult -- but that changed late Friday, too. The M-I-L had plans for Sunday -- but she and her husband would be available Saturday night. Olaf's folks were added to the guest list and his mother added to the birthday extravaganza. More Mission Creep. And that, boys and girls, is one of the reasons Fannie May sells so many boxes of mint meltaways. But getting a present for our in-law was the easy part. What were we going to get Granddaughter No. 2? And so Long Suffering Spouse and I were at Costco late Friday afternoon. By this time Younger Daughter had given up on the cupcake idea---she'd never find time to bake them, she told us---and so we had to buy a cake. More Mission Creep. And, once Long Suffering Spouse found out the in-laws were also coming, there was the question of what else we would have to bring. This too would have to be procured. Still more Mission Creep. We got a cute little toy lawnmower at Costco for Granddaughter No. 4. The child will walk any day now. Long Suffering Spouse was particularly pleased with the little lawnmower because, she noted, any toy that the child can push and lean on a little will only help her learn how to walk. I was pleased, too: Get the kid used to pushing a lawnmower, I said; then, when she's a little bigger, we can have her use the real thing to cut our grass. Long Suffering Spouse hit me. Our next stop, after a quick supper, was Barnes & Noble. B&N is, or used to be, a major book chain. It may still be; we did pass by some books on the shelves -- but mostly, these days, as near as I could tell, the store sells toys, lots of cute, retro toys that the grandparents swoon for. We still had to have something for Granddaughter No. 2. It was during the course of this visit that I realized that my wife had selected a lot more than one present. "Well," she told me, "you can't have two of the girls opening presents and the other two not opening anything. You're asking for trouble." "But it's not their birthdays!" I protested. Futilely. At least we got the word Friday about the expanded nature of the party. Oldest Son and Abby and Middle Son and Margaret weren't notified until Saturday morning; they both did panic shopping then. When the girls get older, this problem will be solved by a "party bag." You know, candy and a small toy -- a miniature Beanie Baby, perhaps -- stuffed into a paper bag -- one for each party goer other than the guest of honor -- that they take on their way out the door. My periodontist gives me one every time I have an appointment -- a new toothbrush, some dental floss, maybe a travel-sized tube of toothpaste. They give out party bags to the Oscar nominees, too. Those, though, contain more expensive things. Like jewelry. But the girls aren't yet older, my wife explained, patiently, when I protested that we had multiple things for each of the girls (well, multiple things for everyone except Olaf's mother -- she'd have to content herself with mint meltaways) so one little gift for the two non-birthday girls would cause nearly as much upset as giving them nothing at all. The party itself went well. Olaf grilled. In addition to the Costco cake, my wife brought along a vegetable plate. And lettuce. (And, no, we did not make multiple trips to and from the car -- but only because Oldest Son and Abby pulled up when we did and could help us bring everything along at one time.) Olaf's father and I both knew that the vodka was kept on the bar in the basement and we both helped ourselves. Rank hath its privileges. 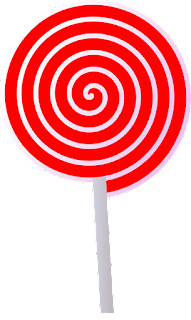 After everyone had eaten, and the Costco cake was duly set on fire, and Happy Birthday sung, and the older girls got to try on their new princess dresses -- after all that, somehow, the girls found room for lollipops. These weren't big lollipops like the one on the right. Theirs were more like Tootsie Pops or Dum Dums. This did not stop me, however, from recalling a little ditty I'd learned from my father, many years ago. He told me that he'd learned it when he was very young -- probably not much older, if any, than Granddaughter No. 1 is now -- and he'd sung it at some neighborhood talent night. Maybe it was just a local event, something in the parish. Maybe it was a tryout for a Major Bowes-type program -- the Major Bowes Amateur Hour being the great-great grandpappy of more contemporary programs like America's Got Talent or The Voice. The details of my father's story are lost to me now, these events being 85 years or more in the past, and my father being gone now 16 of those years. But I could remember the words. Granddaughter No. 1 disagreed instantly: "Lollipops are not icky, Grampy!" Granddaughter No. 1 was screaming now. I had to make sure it was good-natured screaming and not genuine, if inappropriate, anger. 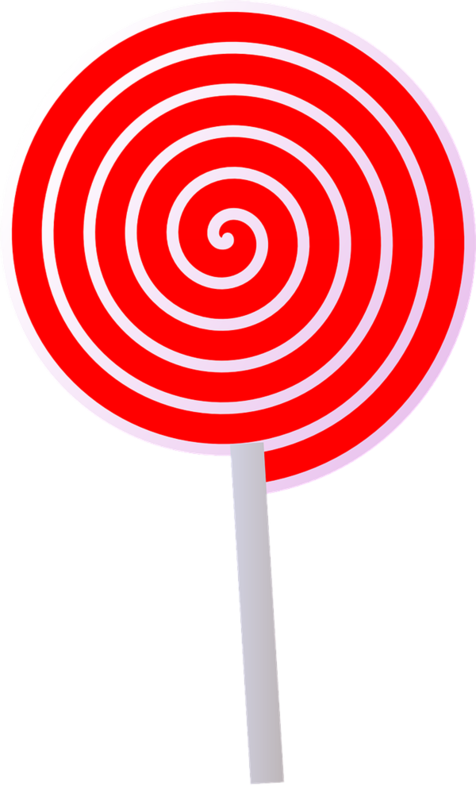 I looked carefully; she was laughing as hard as I was -- and still screaming: "Lollipops are not icky!" I sang the second verse again. Granddaughter No. 1 thundered: "LOLLIPOPS. ARE. NOT. ICKY!" And we both laughed some more. And that's when I realized: Granddaughter No. 1 is ready to be a talking head on cable news right now. Hope things are good with you. You were always my favorite blog friend I never met. Happened to look at my (long defunct) blog this morning and jumped to yours and can see it’s been a while for you, also.